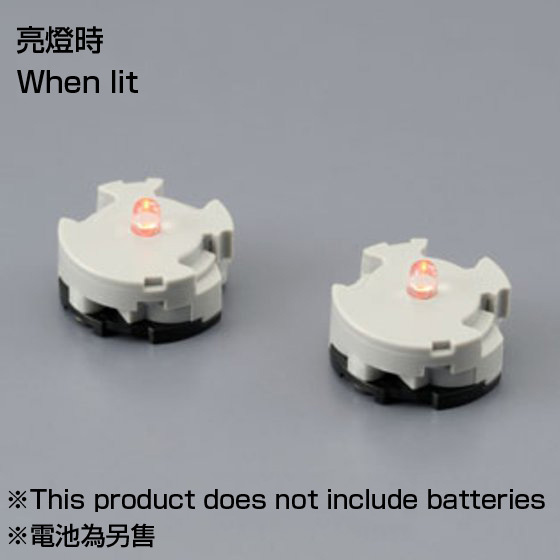 The LED Unit x 2 Set perfect to light up your Gundam Plastic Models' detail. Glows in Red! Decorate your kit to enjoy the effect just like in the show! 〈 Examples of supported recommended kit 〉 *sold separately ・ ＭＧ 1/100 DEBORAH'S ADVANCED GN-X（on sale in PREMIUM BANDAI） ・ ＭＧ 1/100 JESTA（on sale in stores） ・ ＭＧ 1/100 GN-X（on sale in stores） ・ ＭＧ 1/100 GUNDAM EXIA TRANS-AM MODE Ver.（on sale in stores） ・ ＭＧ 1/100 ADVANCED GN-X（on sale in PREMIUM BANDAI） ・ ＭＧ 1/100 JESTA CANNON（on sale in PREMIUM BANDAI） etc. ------------------------------------------- For ages 8 and up. Primary material: PS/（LED）acrylic ------------------------------------------- Set includes: LED Unit (Red) x 2, Cap Parts x 2, Screw x 2 Battery Type: LR41 x 4 (not included) *2 batteries are necessary for each unit. 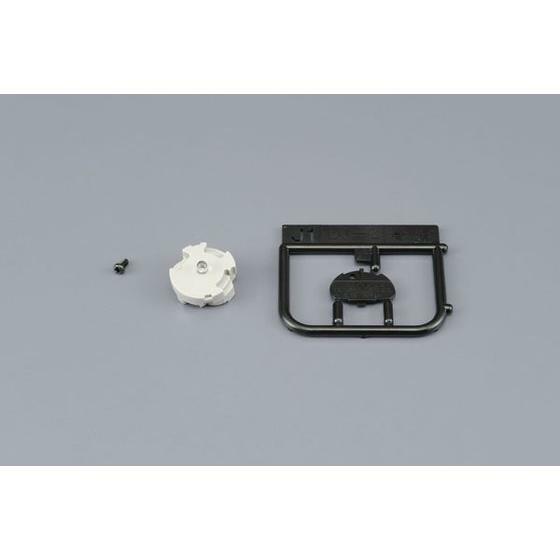 *Phillips head screwdriver (not included) is required to hold the battery cap. (Notes) ・This product cannot be found in model kits shops. ・This product may be on sale in events or other projects held by our company. ・Only a limited number of this product is available at 'PREMIUM BANDAI'. We apologize if we are out of stock on this product. ・Please note that for this product, due to the number of produced units, we are limiting the quantity available in each order. ・For this product, the shipping date is subject to change in some cases depending on application status and production circumstances, Thank you for your understanding. ・Product images are in development stage. They may differ from the actual products. ・The product specifications are current as of September 2017. We ask for your understanding as they may be subject to change.